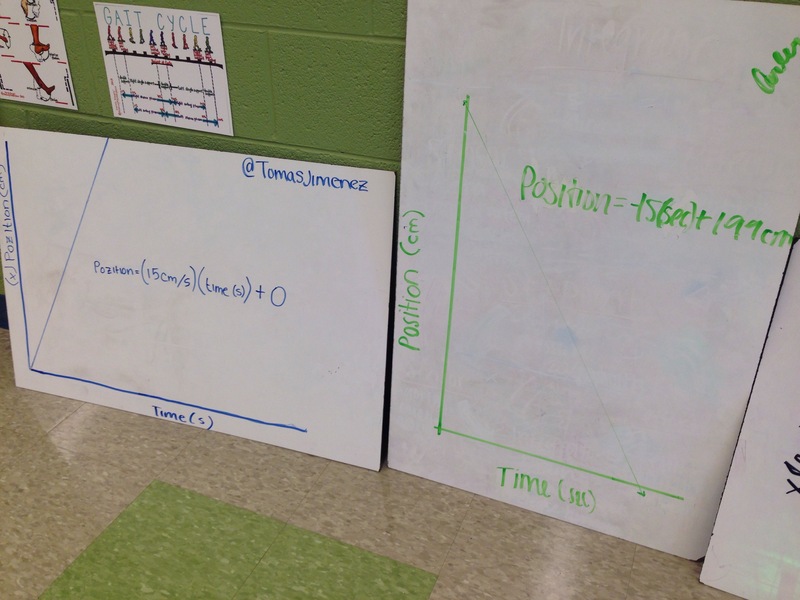 For the buggy paradigm lab, I wanted the graphs to all look different so we could compare and contrast. 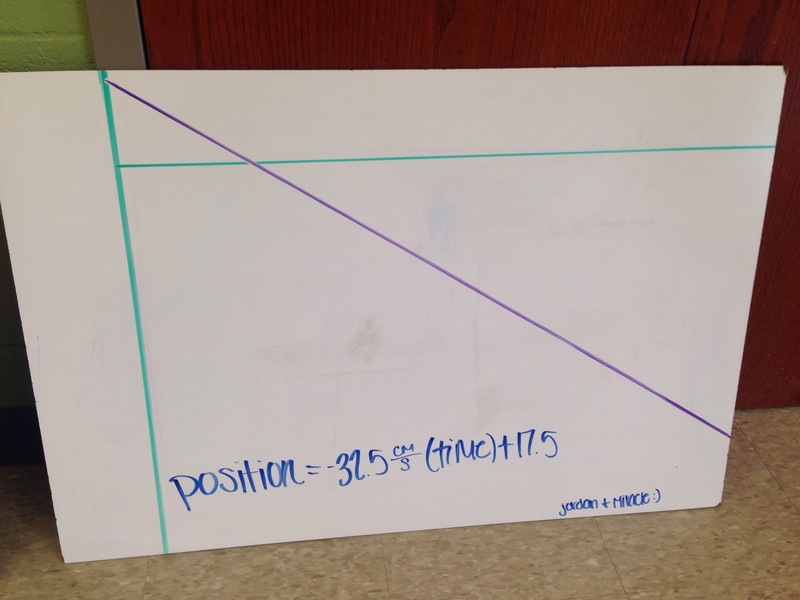 To get some negative positions, I made a common origin out of tape and staggered the tables. 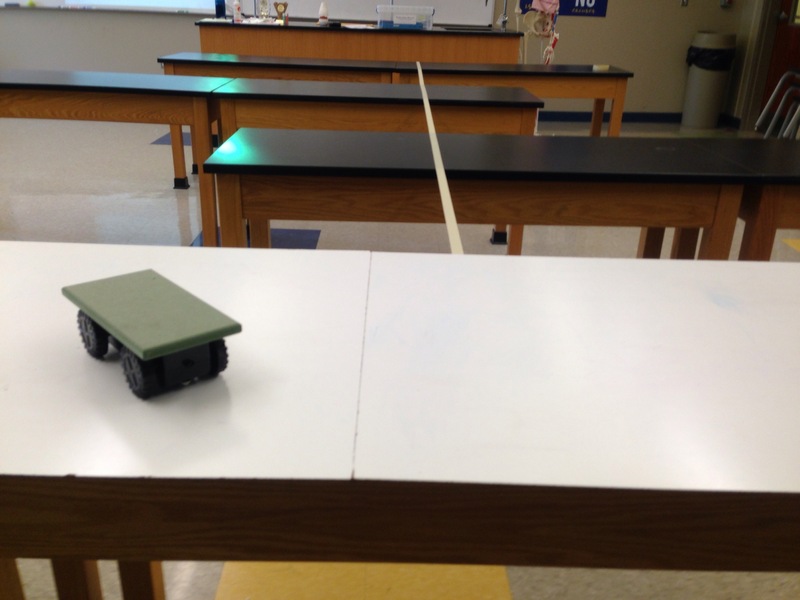 I also made at least one group run their buggy the opposite direction so we could figure out the meaning of a negative slope on the position-time graph. 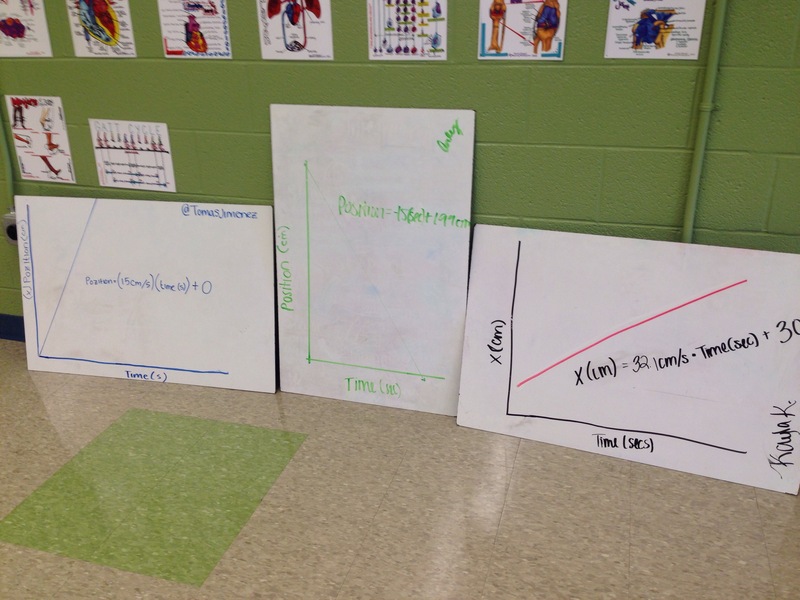 After collecting data, students graphed it on engineering paper and then whiteboards the results. Lots of aha moments during the board meeting! 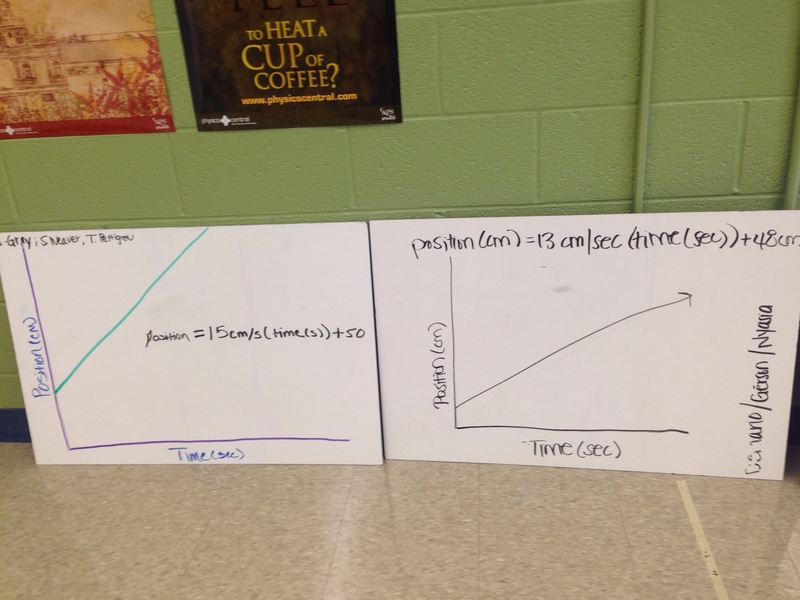 Next Tic Tacs, Aliens, and Action Potentials!